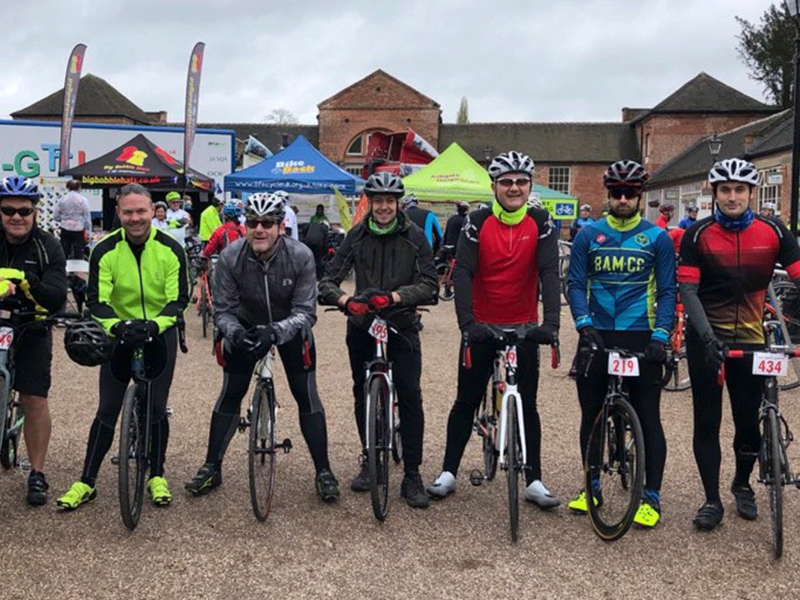 This June, Purely’s Managing Director will be cycling the 300km journey from London to Paris in support of Derby Hospitals Charity. Here Andrew Edmondson explains why this particular challenge is so important to him. Open up your calendar and take a look at what’s happening in June, and you’ll find what is sure to be the biggest, most highly-anticipated sporting event in 2018. No, we’re not talking about the World Cup. 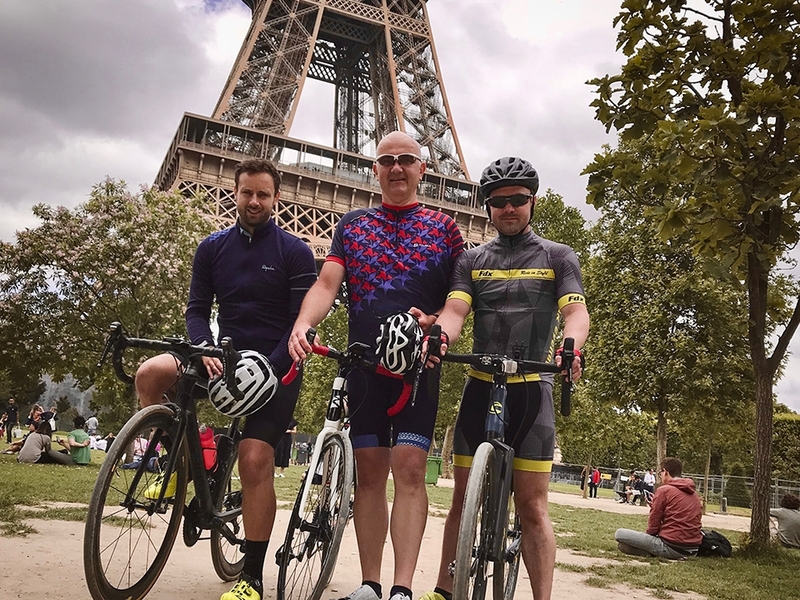 We are, of course, referring to the 300km-long bike ride from London to Paris led by Purely Digital’s very own MD, Andrew Edmondson. “As people who know me will already be aware, last year I had a heart attack. It was very out of he blue. However, I was assessed and underwent a procedure in a very short space of time. “Thanks to the immediate actions of Derby Royal’s staff and medical team, the damage to my heart was greatly reduced and my overall recovery has been much quicker than it would have been otherwise. “Everybody knows our hospitals are under tremendous pressure, and something Derby Royal isn’t budgeted for is a dedicated place where staff can visit and grab a little headspace from time to time. “These people work in an extremely stressful, demanding environment, and it does affect them in ways most of us couldn’t possibly imagine. “There are a few areas around the hospital where staff and the families of patients can go whenever they need it, but they’re in desperate need of restoration and I’d really like to be able to give them something more substantial and deserving. 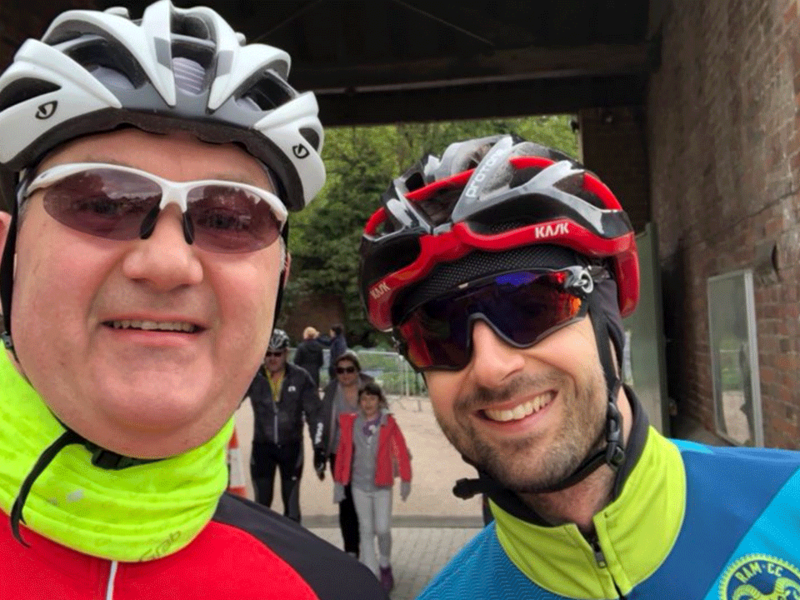 Of course, Andrew has always been a keen cyclist, and whether it was something he would be able to continue with was the first thing he asked his consultant cardiologist. “In fact, he encouraged it,” says Andrew. “Now it’s something I incorporate even regularly than before, cycling to work instead of taking the regular commute — which is certainly quicker! “I’ve dramatically tweaked my diet and, combined with the extra exercise, I feel fitter than ever. This entire experience has really changed my outlook.. 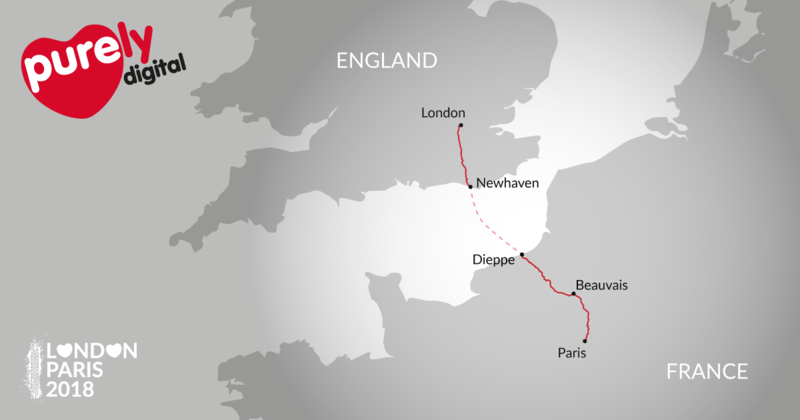 Setting off from St. Pancreas on June 15th, the group will make their way across the Channel and round-off their first day in Dieppe, France — cycling roughly 100km per day, before eventually arriving in Paris two days later. “It’s going to be a tough slog, for sure,” says Andrew, “but it will be equally rewarding on so many levels. “I’ve been truly inspired by all the support I’ve received towards my recovery from numerous medical specialists, friends, and the rest of team at Purely Digital. Making this trip will be a testament to all these great things, and the perfect way to encapsulate what has otherwise been a significantly important journey. We’ve still got a ways to go until we reach our £2,000 target, but there’s still plenty of time for you get involved and help us get there. So please dig deep, share Andrew’s story, and make some noise on social media. This entry was posted on Thursday, May 17th, 2018 at 2:01 pm and is filed under Purely news. You can follow any responses to this entry through the RSS 2.0 feed. Both comments and pings are currently closed.